Whether you’re managing their diet, overall health or oral health, you only want the best for your child’s development. Starting them on a routine that you know will help them flourish is proactive and responsible, so their medical professional should match that. 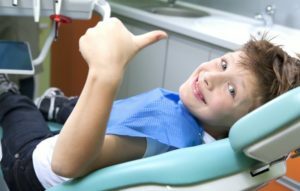 Unfortunately, most parents don’t know what to consider when choosing a pediatric dentist in Birmingham. Before picking just any dentist out of the phonebook or online, take these steps during your search so your child gets the best care possible. Many dentists call themselves family dentists but don’t necessarily know what that should guarantee when a family comes to visit. Therefore, it’s hard to know if they’ll be able to accommodate your child in the best way possible. However, pediatric dentists are required to undergo additional training after completing dental school in order to earn that title. To do this, dentists must become certified by completing and passing state-level specialty exams in pediatric dentistry. They may choose to go the extra mile by becoming board-certified as well, which needs to be maintained on an annual basis through recertification. If you’re looking for the best care possible for your child, choosing a dentist with these credentials is the way to go. While educational credentials are important, it’s always good to start your search by asking the people close to you about their experiences with the pediatric dentist they visit. They’re the most likely to give you an honest opinion and realistic expectations so you don’t waste time visiting a practice you know won’t meet your child’s needs. You can also gain great recommendations from your pediatrician, who’s more likely to know dental specialists in the area. Once you have a list of possible candidates, set aside time to visit them individually with your child. Since these visits are strictly consultations, you aren’t required to pay for treatments just to meet the dentist. When meeting them, see how your child reacts. Your potential dentist should be warm, welcoming, and willing to answer any questions you have. If they can’t seem to give you the time needed to make you feel assured they can provide adequate care, move on to the next doctor on your list. The more you research the pediatric dentists in your area, the more informed of a decision you’ll make and the better outcome you’ll create for your child’s oral health. Schedule a consultation today! Dr. Michelle Bajjalieh is a board-certified pediatric dentist and Diplomate of the American Board of Pediatric Dentistry. She’s specially trained to provide oral health care to children of all backgrounds and ages in a wide variety of treatments. To learn more about her credentials or practice, you can contact her through her website.